A pellet stove can heat your house effectively and efficiently. Whitfield makes pellet stoves with features that are easy to use, require minimal cleaning and burn with the clean economical energy provided by pellets. The Whitfield Advantage II stove has many features that allow you to adjust the heating capacity by just the turn of a knob. 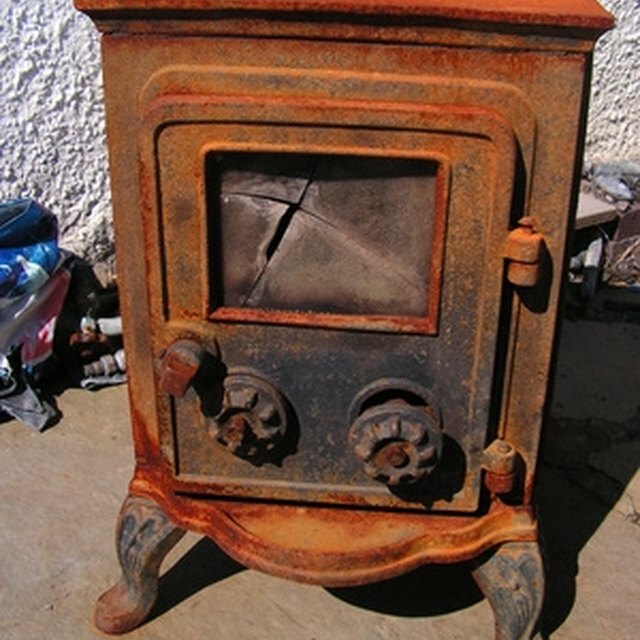 The introduction of the first pellet stove in the world was the result of Whitfield's technology and research into creating a heating system that uses clean and highly efficient fuel at a low cost. In 1984, this revolutionary heating appliance hit the market and its advantages have fueled the market with ever increasing sales. Fireplace Research says that Whitfield pellet stoves "deliver up to 38,000 BTUs per hour with an overall heating efficiency of 81 percent" Compressing sawdust creates wood pellets in two grades, standard and premium. The Whitfield Advantage II stove accepts either grade. The Whitfield Advantage II is the best-selling pellet stove in the world due to its ease of use. You simply fill the pellet hopper compartment and push the automatic ignition button to turn on the auger, lighting the pellets. The pellets begin warming your home in fewer than 10 minutes. There is no constant tending to the fire as with a wood fireplace and you can adjust the heat output easily with a thermostat. The pellet hopper holds 70 pounds of pellets that Fireplace Research has tested and found "provide up to 55 hours of continuous warmth" from filling the stove once. This cuts down on the number of times you need to refill the stove and keeps the fire from burning out for a long time. The stove has an automatic pellet feed system that supplies the fire with fuel as needed; it is controlled by an auger that adds the pellets. Pellets burn almost entirely and leave very little ash in your stove. The Whitfield Ultra Grate has a shape that allows exceptional combustion efficiency so that the even that standard grade of pellets will burn efficiently. It has a five-setting heat output switch, which changes the combustion air supply and fuel supply simultaneously to adjust the temperature in your home. The five-speed convection fan circulates the warm air into your home. You may wire the Whitfield Advantage II pellet stove into a wall-mounted thermostat so that it maintains an exact temperature. The Whitfield Advantage II pellet stove is simple to use because it employs a super-efficient heating method that warms your home easily, leaving little to clean up. Pellets are a clean-burning and low-cost alternative to wood fireplaces. They have fan and heat output settings that maintain a comfortable temperature and do not need any attention for hours at a time. The attached thermostat gives you a heater that will supply its own fuel and burn by itself for more than four days at a time. Whitfield also has a built-in a safety feature that will turn the stove off automatically in the case of a power failure. It will not relight until you turn the auger and ignition switch on again. This prevents accidental relighting and burning during power fluctuations.